amazing statistics. thanks for posting this tribute! thanks kimy. today always makes me sad and I chose not to write about it this year. I always miss my father and his brothers in arms who once lived and told my brother and I a bit about their stories during WWII. I saw the old men today at the tribute in the park. I wanted to hug them. They reminded me so of my dad. There is a glorious balance between your opening quote and your final song : a balance that makes me slightly suspicious of way the day has become more of a vicarious celebration rather than a cruel reminder. My heart hurts hearing that song. 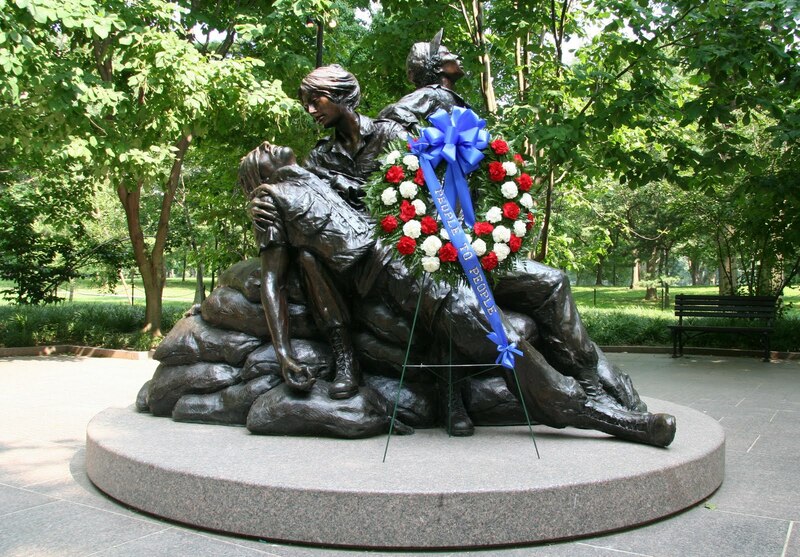 The memorial statue was powerful for me - reminding me of Michelangelo's "Pieta". I spent two years in the WAC. It's where I solidified into a pacifist, especially after seeing the damage war did to people in the military. We don't bother counting the civilians - those who suffer the most in a war zone. We need to change, or become extinct.